It is the season of referrer spam that affects statistics and annoys website publishers. Security experts have managed to identify that referral spam is in open season during the cold days of the year. Users and publishers both are strongly advised if they come across this suspicious referral site to filter it out and scan their computer for malware in case they visited it. Short Description The domain may do various dangerous or unhealthy deeds to the PC activities. Distribution Method Via clicking on any Snip.to links (For example Traffic2cash(.)net/?hrefasdi9/). By being redirected to it via a PUP (Potentially Unwanted Program) causing pop-ups and redirects on the PC. User Experience Join our forum to discuss about Traffic2cash(. )net Referrer Spam. Traffic2cash(. )net Referral Spam – What Does It Do? Traffic2cash referrer spam is also familiar as log spam or referrer bombing and it has been made mainly to drive users to click on the referral links and hence generate hoax traffic to vendor or affiliate websites. When we analyse Traffic2cash(. )net it was established that it may be an affiliate marketing scheme. This is due to the fact that the website redirects to an online referral advertising site, called adzos.com. It is essentially an advertising network and it has referral programs for website publishers. Malicious URLs that may be dangerous to PCs. Fake retailer stores that resemble famous online retailers however they may be phishing for user’s personal and financial information. Fake error pop-ups advertising sites that promote software only aiming to scare users into paying money to fix the problem over a phone call with fake tech support representatives. Fake surveys that phish for financial or personal user information. These may be only half of the risks for a website’s users. Additionally the referral spam creates headaches for website publishers as well, especially for beginner websites. Difficult to remove, persistent reappearing for a long time on the website. It may intercept information through the free HTTP exchange. If the spam is massive from many vendors it may cause the hosting server to crash and the website to be taken down (it is recommended to use external server services with higher capacity such as Amazon Services, for example). This particular type of spam ‘crawls’ the web in search for spam opportunities. Usually such lie in the face of different websites that are not entirely developed, not frequently monitored or with low traffic. Since the analytics data on such sites may be low on number such spam may devaluate it very fast. As for the spam’s aggressiveness it is important to bear in mind that it is dependent on the spammer. Some spammers back away straight after the first report, but there are those who continue to develop their spams to continue flooding blogs and forums. This particular type of spam causes most headaches to website publishers. It is the preferred choice due to its anonymity and one of its characteristics – it has the ability to remain non-flagged and undetected for a longer periods of time. The secret behind this is that the spamming software uses technology that allows it to post spam messages on a website while it is not even present on the website being spammed. Experts like Ben Davis at vidget.com claim that spammers may take advantage via the free HTTP connection more particularly exploits in it. This enables spammers to conduct maximum amount of spam messages for longer periods of time than if they used web crawlers. Some spammers may even be able to use blank HTTP requests in order to focus on specific analytics data and to allow the modification of search results. Traffic2cash(. )net Referral Spam – How To Protect Yourself from It? When it comes to referral spam the protection is basically very similar. You need to ad filters in google analytics and if the spam is persistent, you may also want to check out some of the instructions suggested below to help you block out this nasty spam and save further headaches. You can always try to block all of the domains associated with this website (.info, .net., .com, etc.). There is a method outlined by security researchers online that uses WordPress plugins to block referrer spams from sites. There are many plugins that help deal with referral spam, simply do a google search. We have currently seen one particular plugin reported to work, called WP-Ban, but bear in mind that you may find an equally good or better. WP-Ban has the ability to block users based on their IP address and other information such as the URL, for example. In case you have been redirected to or personally visited URLs by Traffic2cash(. )com it is advisable to user advanced anti-malware scanner to check whether or not your machine has been infected with malware since this service may advartise all sorts of concealed dangers. Security engineers recomend performing more than one system scan for maximum effectiveness. Threats such as Traffic2cash(. )net Referral Spam may be persistent. They tend to re-appear if not fully deleted. A malware removal tool like Combo Cleaner will help you to remove malicious programs, saving you the time and the struggle of tracking down numerous malicious files. Threats such as Traffic2cash(. )net Referral Spam may be persistent on your system. They tend to re-appear if not fully deleted. A malware removal tool like SpyHunter will help you to remove malicious programs, saving you the time and the struggle of tracking down numerous malicious files. Note! Your computer system may be affected by Traffic2cash(. )net Referral Spam and other threats. SpyHunter is a powerful malware removal tool designed to help users with in-depth system security analysis, detection and removal of threats such as Traffic2cash(. )net Referral Spam. 1. Install SpyHunter to scan for Traffic2cash(. )net Referral Spam and remove them. 2. Scan with SpyHunter, Detect and Remove Traffic2cash(. )net Referral Spam. Ransomware infections and Traffic2cash(. )net Referral Spam aim to encrypt your files using an encryption algorithm which may be very difficult to decrypt. This is why we have suggested several alternative methods that may help you go around direct decryption and try to restore your files. Bear in mind that these methods may not be 100% effective but may also help you a little or a lot in different situations. Note! Your computer system may be affected by Traffic2cash(. )net Referral Spam or other threats. Remove Traffic2cash(. )net Referral Spam by cleaning your Browser and Registry. Fix registry entries created by Traffic2cash(. 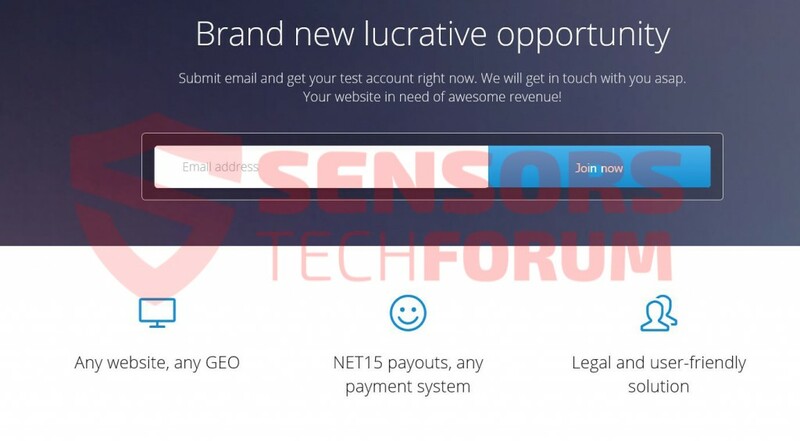 )net Referral Spam on your PC. Combo Cleaner is a powerful malware removal tool designed to help users with in-depth system security analysis, detection and removal of threats such as Traffic2cash(. )net Referral Spam. Step 5: In the Applications menu, look for any suspicious app or an app with a name, similar or identical to Traffic2cash(. )net Referral Spam. If you find it, right-click on the app and select “Move to Trash”. Step 6: Select Accounts, after which click on the Login Items preference. Your Mac will then show you a list of items that start automatically when you log in. Look for any suspicious apps identical or similar to Traffic2cash(. )net Referral Spam. Check the app you want to stop from running automatically and then select on the Minus (“–“) icon to hide it. Remove Traffic2cash(. )net Referral Spam – related extensions from your Mac’s browsers. A pop-up window will appear asking for confirmation to uninstall the extension. Select ‘Uninstall’ again, and the Traffic2cash(. )net Referral Spam will be removed. When you are facing problems on your Mac as a result of unwanted scripts and programs such as Traffic2cash(. )net Referral Spam, the recommended way of eliminating the threat is by using an anti-malware program. Combo Cleaner offers advanced security features along with other modules that will improve your Mac’s security and protect it in the future. Hey !, I found this information for you: "Get Rid of Traffic2cash(. )net Referral Spam In Google Analytics". 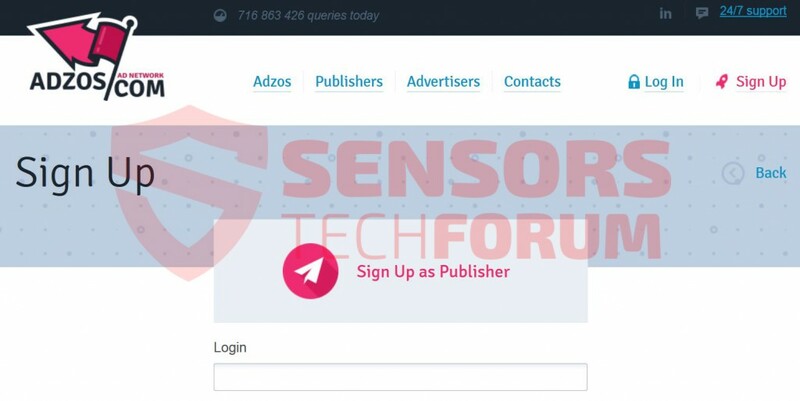 Here is the website link: https://sensorstechforum.com/get-rid-of-traffic2cash-net-referral-spam-in-google-analytics/. Thank you.